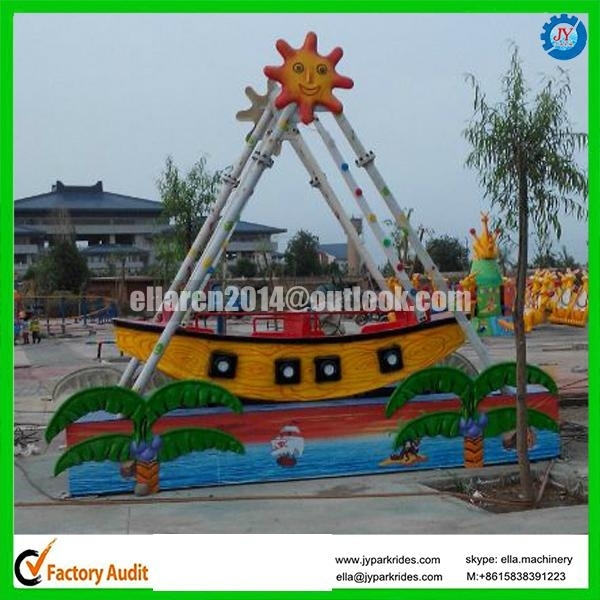 parts of pirate ships are made of fiberglass reinforced plastics(FRP), equipped with dexule LED lights,music,non-fading and durable painting and other advanced electrical accessories.It swings from a slow start to the rapid swing, which makes passengers have feeling of travelling on sea. 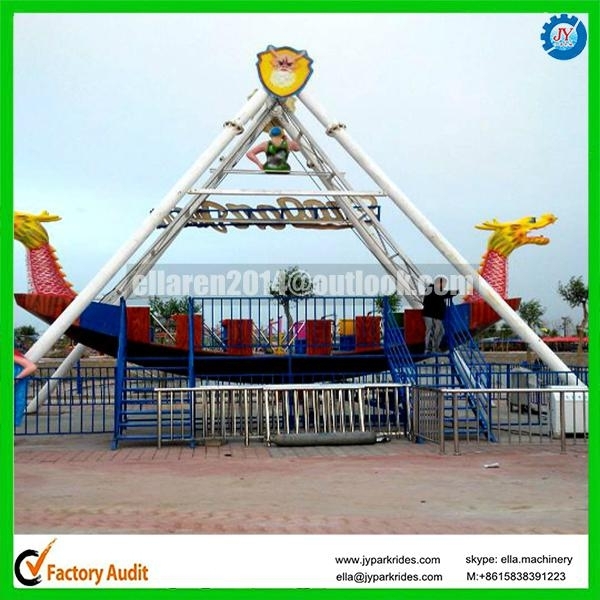 Thrill rides: UFO rides, Arabic flying carpets, big pendulum, flying chair, jumping machine, disco turntable, automatic aircraft series, pirate ship, flying ring car etc. 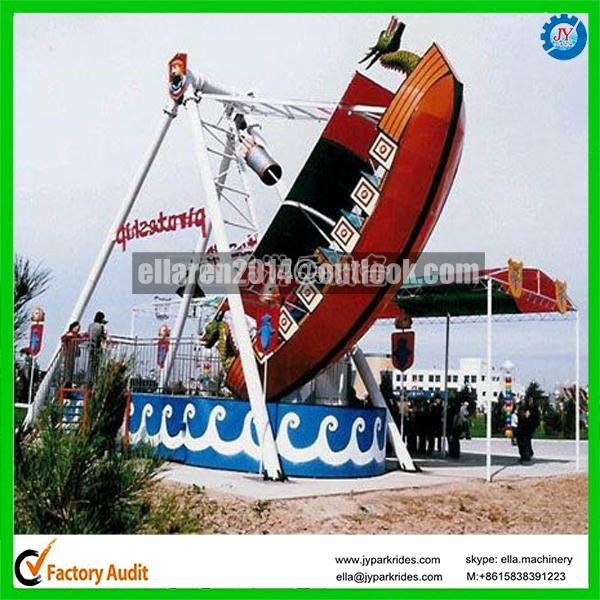 Family rides: Sworm roller coaster, jellyfish rides, octopus rides, Kungfu panda rides, kangaroo rides, rotating bee rides, coffee cup, small ferris wheel, small pirate ship, track train, bumper car etc. 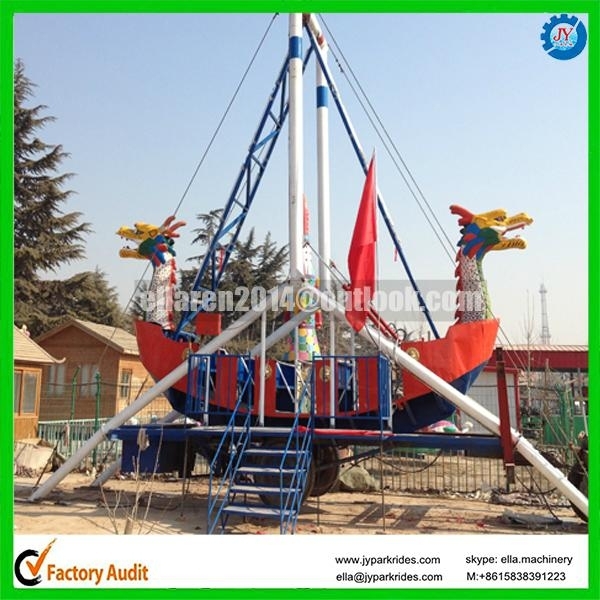 Kids rides: naughty castle, inflatable castle, carousel, mini shuttle, etc. 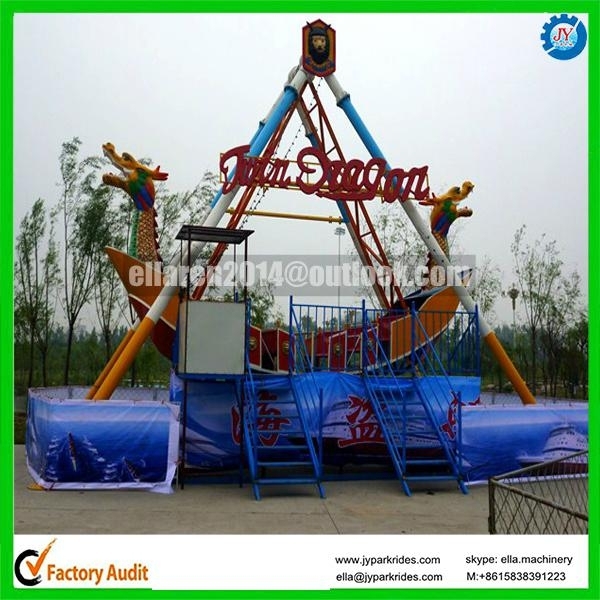 We are also pleasure to customized various amusement equipment according to your requirements. Aftersale service: During1 year Warranty, we offer free spare parts. Installation: Provide install video and English manual, and arrange professional engineer to install if customer need. Foundation: Offer foundation design picture to instruct.